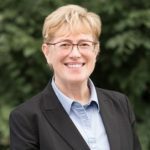 Congratulations to CSDE Affiliate and CSDE Executive Committee Member, Ann Bostrom (Weyerhaeuser Endowed Professor in Environmental Policy, Evans School of Public Policy and Governance), who was just elected to the Board of Directors of the American Association for the Advancement of Science! The AAAS seeks to advance science, engineering, and innovation throughout the world for the benefit of all people. As an elected member of the Board, Ann looks forward to championing these efforts to democratize and advance science.